The Peak of Chic®: The Renzo Collection from Currey & Co. I have to tip my hat to my dear friend, Will Merrill. Not only is he a very talented interior designer (he has decorated some amazing homes in North Carolina,) but he's an accomplished furniture designer too. 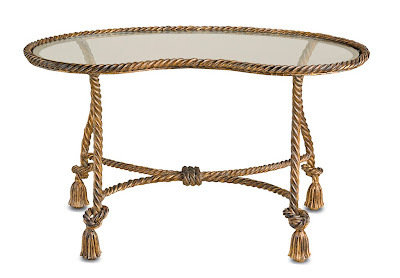 He has collaborated on a few furniture lines with Currey & Co. in the past, and the collections have deservedly garnered a lot of attention in the press. No doubt the same will be true with his new Renzo Collection for Currey & Co. that is set to debut at High Point this week. 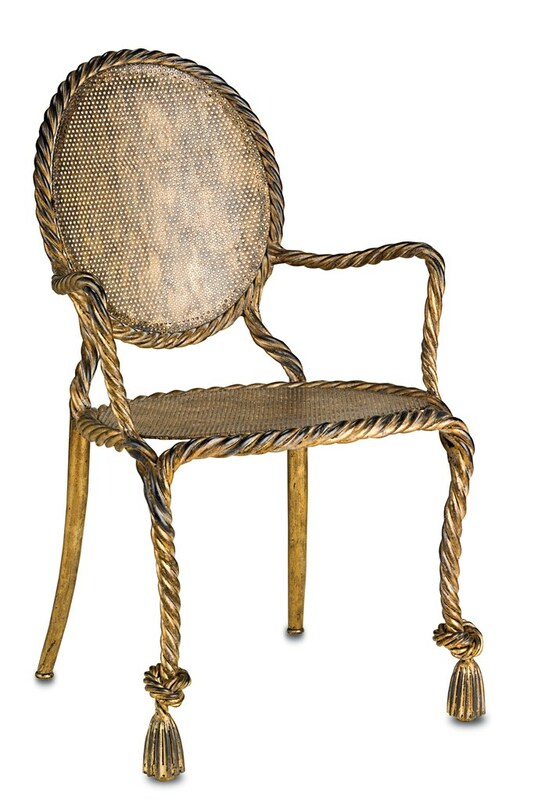 Will's latest collection, one made entirely of wrought iron, was inspired by the vintage metal rope and tassel furniture that was produced in post-war Italy. Interestingly enough, these midcentury Italian pieces hearken back to the mid-19th c. when rope and tassel furniture was made from carved and gilded wood. 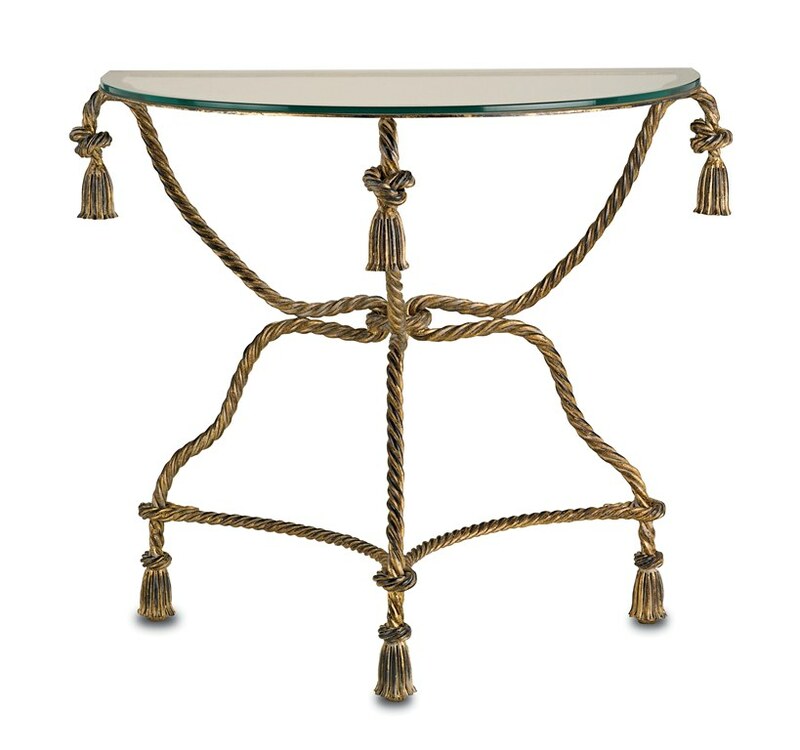 While most of the Italian metal pieces were primarily small stools and boudoir chairs, Will chose to branch out into larger items like a console and coffee table. The aged gold leaf finish of this collection is really quite remarkable, something that gives the furniture even more of an antique feel. And according to Will, the metal chairs in this collection are extremely comfortable, even without a cushion. I can't wait to test one out myself. 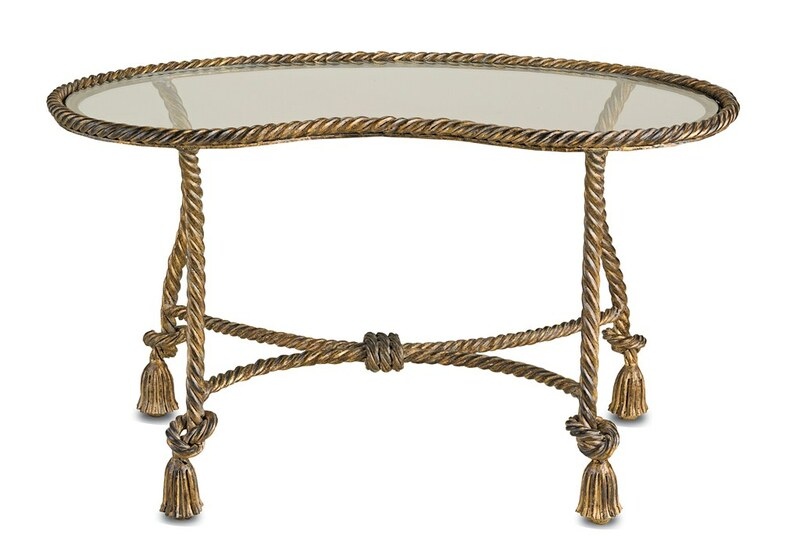 If you're in High Point this week, please visit the Currey & Co. showroom to see the new collection in person. Or, visit their website for more information. Renzo Arm Chair that is supposed to be quite comfortable. Renzo bench. 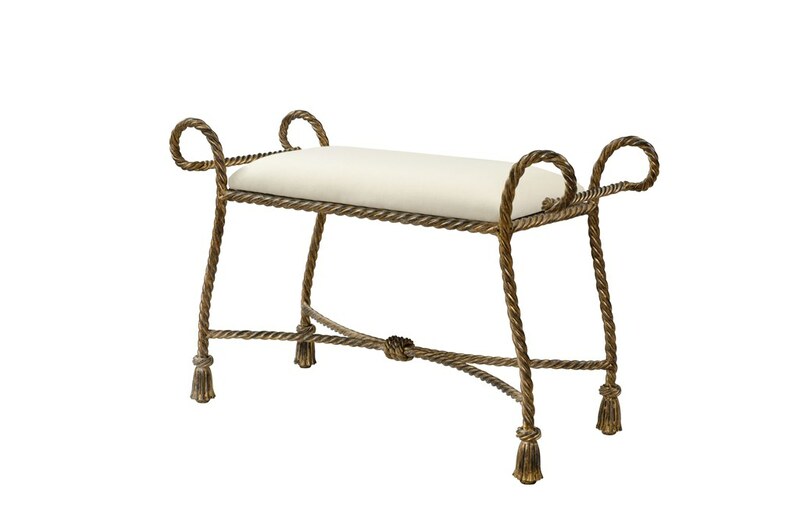 Will mentioned that this bench would work well at a dressing table, at the foot of a bed, or as a window seat. It can also double as a small table, without the cushion of course, thanks to its metal mesh seat. All photos courtesy of Currey & Co. I am such a fan of Will's work! Does he sign autographs? Love the rope chairs! N.G. I think he might be willing to sign an autograph or two! 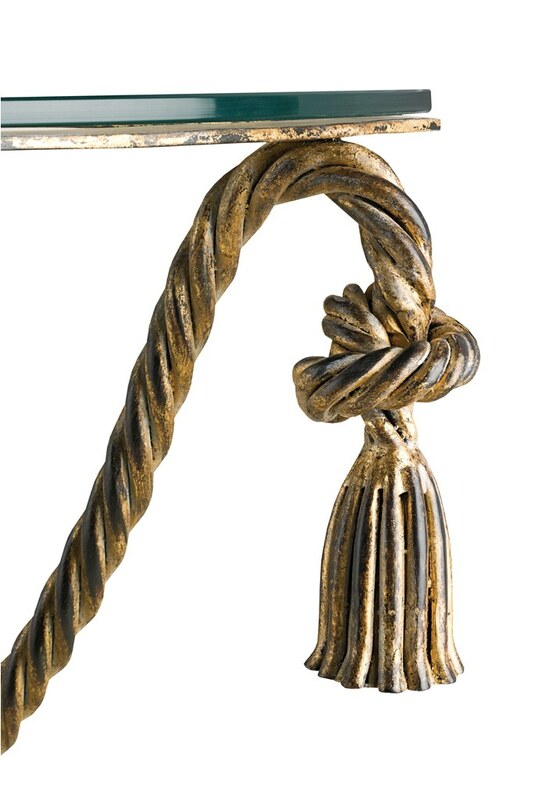 I have always loved Italian rope and tassel furniture. 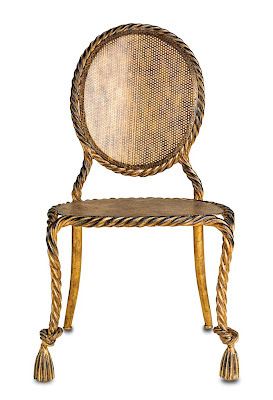 I am in love with the armchair in this collection.